A few days ago, it was revealed that Android 6.0 Marshmallow's grand roll-out may commence from October 5th, thanks to a leak via Canadian carrier Bell. Now, a report by the folks of Android Police appears to confirm this notion, while also outlining some of the devices that will -- and won't -- be seeing the tasty new flavor of Google's mobile software. The update process of Android tends to be arduous, as we've seen time and time again. But for those invested in a Nexus, the process is often a bit less tedious, since they're among the first in line. Android Police has unofficially confirmed that the Nexus 5, 6, 7 (2013) and Nexus 9 will see Android Marshmallow from October 5th. If you are rocking one of those devices, though, don't expect to have the OTA notification ping you on that date; the roll-out will not be instantaneous and could take a while to reach you. For those of a less patient disposition, an update ZIP file will be provided on tap, enabling you to take the manual route if you know what you're doing. With factory images also being prepped to drop on 5/10, you'll also be able to get flashing, but again, a little prior experience of this practice will be required. 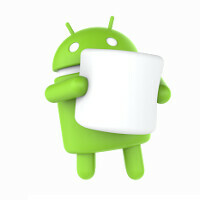 Android Police's report also adds confirmation that the software will not reach the Nexus 4, Nexus 7 (2012), or Nexus 10. Android Lollipop is the very last milestone for those devices, although further stability and security updates will probably be released on an ad hoc basis. Are you looking forward to Android 6.0 Marshmallow? Let us know in the comments, and stay tuned for our liveblog of Google's Nexus event starting in a few hours' time! Here is hoping they finally fixed Android with this one. Android isn't "broken" so why does it need to be fixed? Well the memory leak needs to be fixed as some are reporting that 5.1.1 brought it back. I haven't had any memory related issues on my Nexus 6, but annoyingly the clock has moved its self ahead by an hour twice this week causing my alarm to go off an hour early. I haven't experienced any of those issues with my Nexus 6. But that's just me. My Nexus 6 is ready and waiting for this! NO! NO! NOOOOOOOOOOOOOOOOOOOOO! NO! NO! NO! Alright, I feel so out of the loop, where the hell did this "My body is ready" phrase originate from anyways? Oh..... all is now made clear. Thank you. Had my nexus 5 since 2013, this is why I bought it for. Thanks Google me and my nexus family enjoy your devices. Will be getting the nexus 9 tablet and nexus player Xmas can't wait. Yup, and no doubt there are already M preview roms, and there will only be more once it's released. Can't be worse than Lollipop i guess.. I am not sure I understand the reason for ignoring Nexus 4. It is still a great device packing Quad core snapdragon and 2GB RAM. With a little effort Google could have included it in their list as well. Apple is still updating their 4year old devices which had very primitive hardware. Google on the other hand can't update a 3year old handset which still has great specs. Guess I'll have to make do with my still buggy Nexus 4 as of now. Different philosophies. Apple provides updates to older devices to cripple them and force an upgrade. Google provides updates to make software better, since they do not make money on hardware, they have no incentive to release an update that might be too much for an older device. Still, custom rom action will probably provide your marshmallow fix for the nexus 4. I hope this doesn't make the Nexus 7 (2013) unusable. It's already starting to not run so smoothly with lollipop. I'm glad they aren't going to try to put it on the 2012, and the Nexus 10. Those devices are practically unusable. Really need to find a Nexus 9 to upgrade the wife's Nexus 10.